ADCIRC is a system of computer programs for solving time dependent, free surface circulation and transport problems in two and three dimensions. These programs utilize the finite element method in space and therefore can be run on highly flexible, irregularly spaced grids. 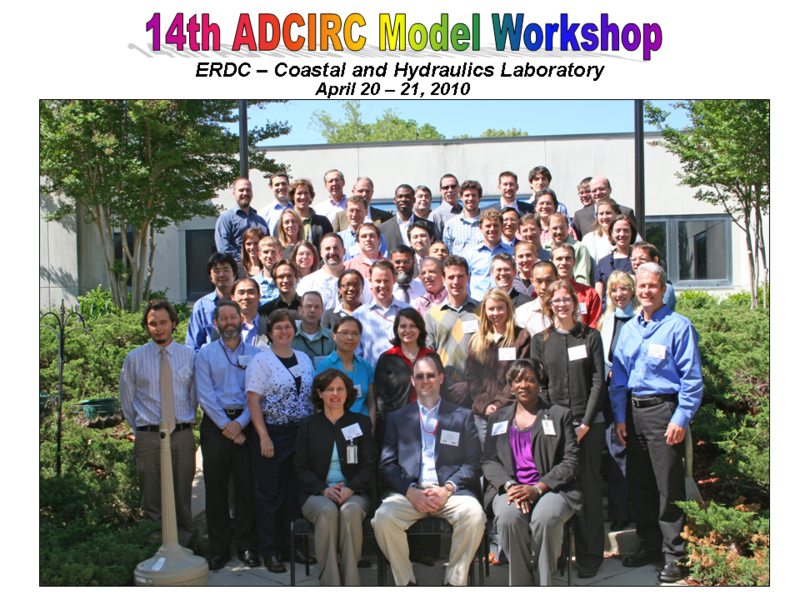 Typical ADCIRC applications have included: modeling tidally and wind driven circulation in coastal waters, forecasting hurricane storm surge and flooding, dredging feasibility and material disposal studies, larval transport studies, riverine modeling for currents and water levels, and baroclinic coastal modeling from lab scale to field scale. ADCIRC runs on any operating system for which there is a working FORTRAN compiler. These include large commercial Unix systems (IBM Power & Blue Gene), Cray, SGI, Sun), Linux and FreeBSD based clusters, and personal workstations running Windows or Mac OSX. We are not aware of any platforms that support a working modern Fortran compiler that does not support ADCIRC. We routinely use the Intel, PGI, Intel, and GCC suites of compilers on a great variety of architectures. Network topology (Infiniband, GigE, shared memory MPI, etc) appropriate MPI libraries and C compilers are required in parallel environments. NetCDF libraries are optionally required in order to support this type of output. The coupled ADCIRC+SWAN model is available on all of the above platforms with the exception of Windows (as of March 2014). 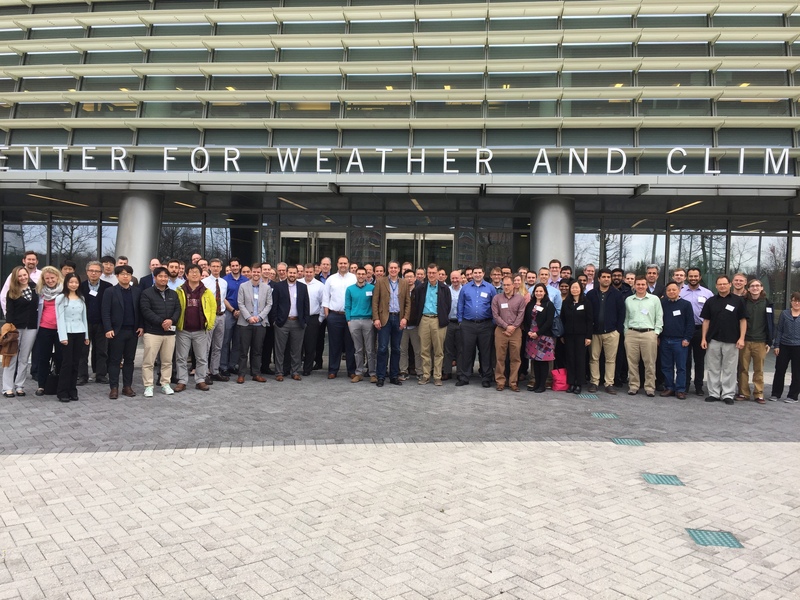 The coupled ADCIRC+STWAVE model is available on all the platforms including Windows PCs as part of the Coastal Storm Modeling System (CSTORM-MS). The ADCIRC version 51 series is the latest release version (specifically v51.52). It was officially released on 31 March 2015. Contact Crystal Fulcher (cfulcher@email.unc.edu) and ask her to subscribe you to the ADCIRC listserv (adcirc@listserv.unc.edu). ADCIRC is commerically available from Aquaveo, LLC (www.aquaveo.com) bundled with their software package SMS (Surface water Modeling System). SMS and ADCIRC are also available from Veri-Tech, Inc (www.veritechinc.com). A: Step-by-step instructions for building ADCIRC are provided in the ADCIRC Developer’s Guide on this site and in the doc subdirectory of the ADCIRC source code. A set of files which defines such things as: bathymetry, topography, boundary information, tidal characteristics, nodal attributes (often based on land use data), river inflow, meteorological forcing input, wave radiation stress forcing, and others depending on the geographical area of interest. The tool of choice in the ADCIRC Community is the Surface water Modeling System (SMS) from Aquaveo, LLC (http://www.aquaveo.com). However, there are other possibilities, including the Blue Kenue package (https://www.nrc-cnrc.gc.ca/eng/solutions/advisory/blue_kenue_index.html). Output files containing time varying and spatially varying water surface elevation, water velocity, wind velocity, and atmospheric pressure. These will be 2D or 3D as specified in the input. There are test problems that can be downloaded from the adcirc.org home page. Currently, there is no trial version of ADCIRC for download. It may be possible to obtain a trial version as part of the SMS software package (http://www.aquaveo.com/sms) which is commonly used for ADCIRC mesh development and editing as well as model output visualization. ADCIRC output files are directly readable by the Surface water Modeling System (SMS) software package from Aquaveo (http://www.aquaveo.com). In addition, various users have developed utilities or scripts for visualizing ADCIRC output in ArcGIS, Tecplot, Paraview, Google Earth, and gnuplot. One of the most popular is a tool called FigureGen, which uses the Generic Mapping Tools (GMT) package to generate publication-quality figures and animations. It is developed by Casey Dietrich and is freely available from http://www.caseydietrich.com. For any of the other formats, you can request the latest version of an associated conversion utility from the ADCIRC mailing list. 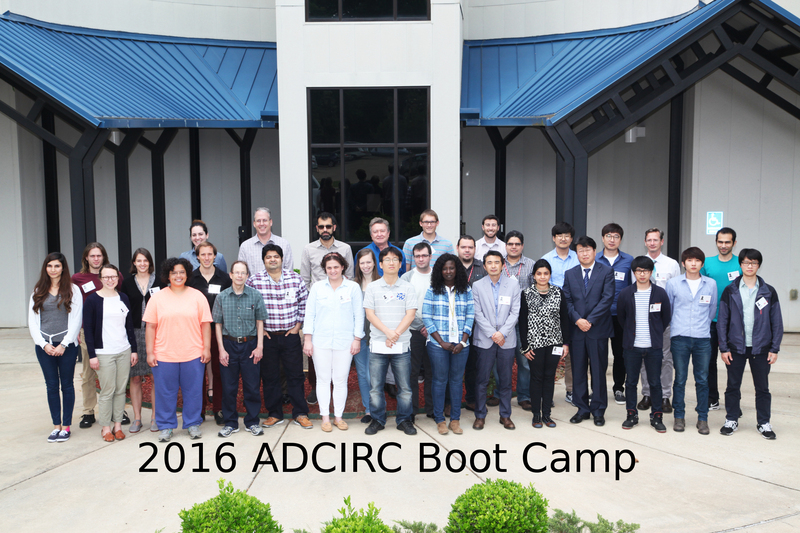 ADCIRC has been developed by Dr. Rick Luettich at the University of North Carolina at Chapel Hill, Institute of Marine Sciences and by Dr. Joannes Westerink at the University of Notre Dame, Department of Civil Engineering and Geologic Sciences. 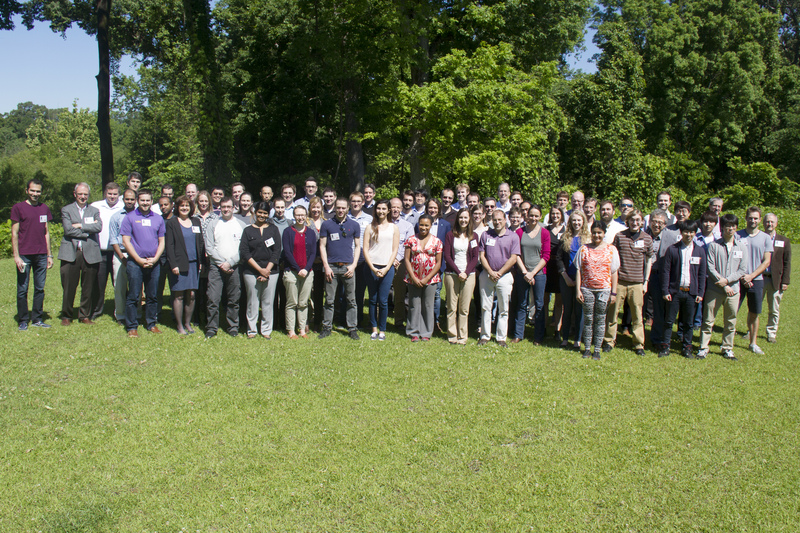 The ADCIRC developers focused on proving that they are correctly solving the governing partial differential equations without introducing artificial damping or artificial modes that alter the stated physics. They proved consistency and convergence rates by examining problems with a range of dynamic balances so that their analytical tests mimic real world applications. They based error estimates on comparisons to simplified problems with analytical solutions or on Richardson extrapolation. Interested readers are referred to the substantial publication list at the ADCIRC homepage. There is a list serve (adcirc@listserv.unc.edu) where bugs can be reported. The primary contributors (Joannes Westerink and Rick Luettich) welcome bug reports. 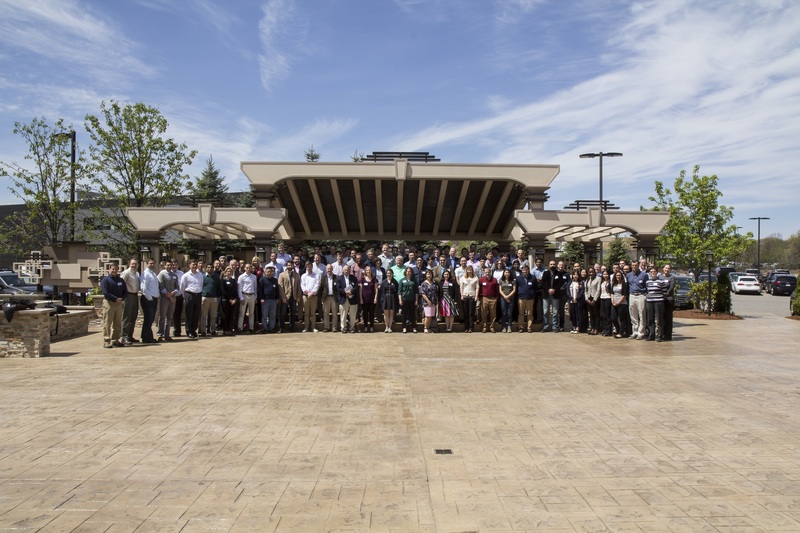 The list serve (adcirc@listserv.unc.edu) is good place to start connecting with people who are currently active within the development community. There is an ADCIRC community workshop each year which is open to anyone. More information can be found on the list serve. This is an issue with the presence, location, and subdomain preparation status of the coupled SWAN input file (fort.26). Make sure that the swan input file fort.26 is in the same directory with the other fulldomain input files and has been distributed to the subdomain directories by adcprep. Most operating systems (OS) set limits on the number of concurrently open files. If the number of subdomains is large (>1000), then the operating system may run out of available file handles when running adcprep. Find out how to increase the open file limit. In Linux, this is something like “ulimit -n 8192”, which tells the OS that, for this shell session, allow up to 8192 open files. This means that the water surface elevation solution is farther above the geoid than the ‘warning’ threshold level. Typically, this means that the water surface elevation solution is growing larger than expected which often indicates a growing instability. So why not just halt execution when this sort of solution begins to form? Well, due to very large tidal ranges in certain parts of the world, very high water elevations (e.g. 10 meters) are *possible*, and therefore ADCIRC will merely log a warning at this point—not shut down the run. * Can you compute the CFL parameter for each of your elements and ensure that it is less that 1 globally? * Can you compute the element quality (a measure of how ‘equilateral’ the element is) for each element? Low quality elements (even just one or two) can give you problems. * Try running a test simulation with the nonlinearity/wetting-drying features turned off and then bring them back in (presuming you get a stable run) one at a time. * You may be able to get a more stable run by adjusting tau0 (the weighting between the primitive equation and the wave equation in the overall continuity equation). For detailed information on how to do this, please see the documentation of tau0 (in the fort.15 file) in the Official ADCIRC Users Manual at http://www.adcirc.org. *A:* This message was not produced by ADCIRC. It was produced by the library that comes with the Intel Fortran Compiler. There are utilities available on the ADCIRC webpage at http://adcirc.org/Utility_programs.html. There are also many utilities that have been developed by various members of the ADCIRC community for their personal use. Please submit a question to the ADCIRC mailing list to find out what may already be available. (Jason Fleming): Passive scalar transport is not the preferred approach to doing tracking studies of conserved quantities in the production version of ADCIRC. Instead, ADCIRC users generally take current velocity output data and run it through a separate code that they have written to advect clouds of virtual drifters. This approach is used because the production version of ADCIRC uses the Continuous Galerkin (CG) finite element formulation which guarantees mass conservation along the boundary, but not element-by-element mass conservation. Therefore, it is possible to have mass conservation errors when tracking a conserved scalar in CG ADCIRC. There is also a Discontinuous Galerkin (DG) formulation, called DGSWEM, which does guarantee element-by-element mass conservation. This code is available from the Institute for Computation Engineering and Sciences (ICES) at the University of Texas at Austin. larger time intervals, however, too many particles seem to drift out of the domain. I have had, on my wish list (listen up, programmers! ), a way in Adcirc to (some fort input file) to, at the start of a simulation, specify initial drifter locations and ‘on’ and ‘off’ times. Then, when the simulation is run, Adcirc would, on the fly, compute the trajectories and store the output in an output file. With the DG version of the code, will something like this be implemented in the future? (John David Howlett): The model PTM may be of interest to you. An interface for PTM has been developed in SMS. PTM uses the hydrodynamic output from ADCIRC (and other models). The Particle Tracking Model (PTM) is a Lagrangian particle tracker designed to allow the user to simulate particle transport processes. PTM is funded through two US Army Corps of Engineers Engineering Research and Development Center (ERDC) research programs, the Coastal Inlets Research Program (CIRP) and the Dredging Operations and Environmental Research (DOER) Program. PTM has been developed for application to dredging and coastal projects including dredged material dispersion and fate, sediment pathway and fate, and constituent transport. The model contains algorithms that appropriately represent transport, settling, deposition, mixing, and resuspension processes in nearshore wave/current conditions. It uses waves and currents developed through other models and input directly to PTM as forcing functions. (Nate Dill): Maybe too slow for a big ADCIRC grid, but it uses Scilab which is free so you don’t need $$$ for SMS or Matlab. Was working on a much faster fortran version but not quite finished yet, email me if interested. * failure of the underlying file system to provide access to the files. The tau0 parameter is multiplied by the primitive continuity equation; ADCIRC uses the both the primitive continuity equation as well as the wave continuity equation in an overall formulation called the Generalized Wave Continuity Equation. The tau0 parameter can be thought of as a “weight” for the primitive continuity equation. This weighting value is used to balance the numerical properties of the continuity equations. A higher value is generally used in shallower water. See the fort.15 documentation on adcirc.org, and feel free to consult the ADCIRC mailing list for recommendations for your particular modeling scenario. *Q: How do I specify the tropical cyclone vortex parameters for the symmetric Holland model (NWS=8) in ADCIRC? where Vmax is in m/s. If the analyst needs to specify Pmin and then estimate Vmax, its easy to solve these equations for Vmax in terms of Pmin. In fact, we use the Knaff/Zehr relationship to do this in the ASGS in real time because the NHC doesn’t forecast Pmin. In any case, the analyst needs to be able to specify either Vmax or Pmin. where Vmax is in m/s, rho_air is set to 1.15 kg m^-3 in ADCIRC, e is Euler’s number, Pn is the “far field” atmospheric pressure, and Pmin is the central pressure (pressures in Pa, not mb). The far field or background pressure is set to 1013mb in ADCIRC. In practice, the background pressure tends to be different in different basins, e.g., different in the tropical Pacific than it is in the tropical Atlantic, but ADCIRC always sets it to 1013mb. However, when I tried to use the radius to the last closed isobar to cut off the vortex wind in the far field, it created artificial jumps in ADCIRC’s wind speed record when comparing with measured meteorological stations. Not only was the wind fluctuating up and down, but the distance to the last closed isobar was fluctuating as well. So, as a storm would approach NC, for example, ADCIRC’s wind speed at a station might show the winds suddenly going from 0 to 10m/s and back several times, once the storm came within “range” of the met station. It just didn’t work well, so I removed the spatial cut off, but I didn’t change the way the code reads the fort.22 file, so it still reads the radius to the last closed isobar. My apologies for the confusion here. Please see also the ADCIRC information available at the Inundation Science and Engineering Cooperative (ISEC): http://isec.nacse.org. Some of the general information about ADCIRC in this document was taken from this original source.